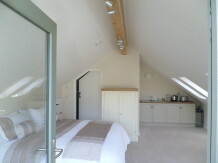 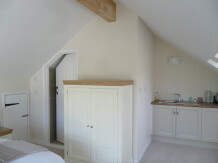 Here is a 7.0m x 6.0m garage with studio above. 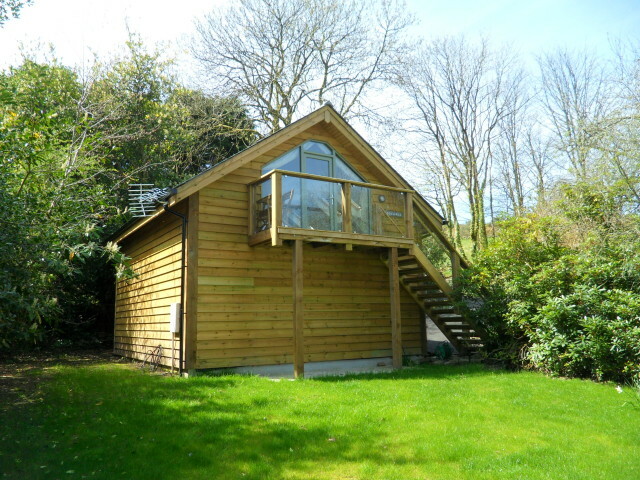 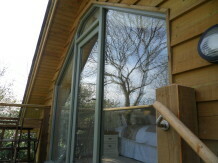 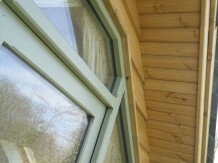 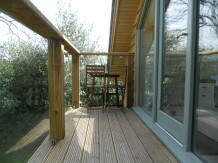 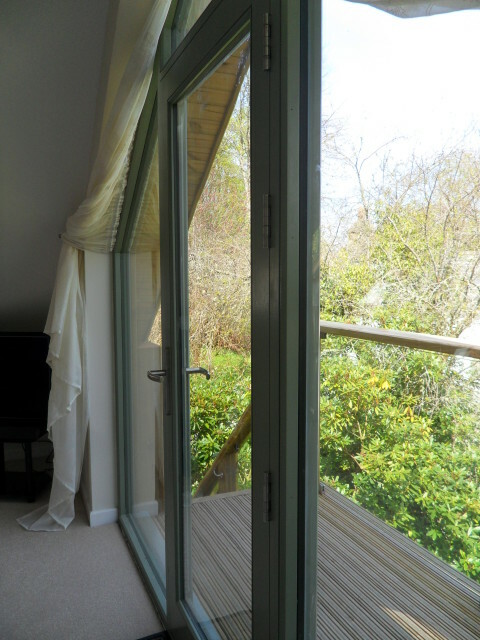 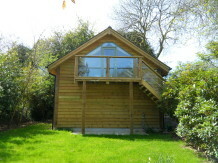 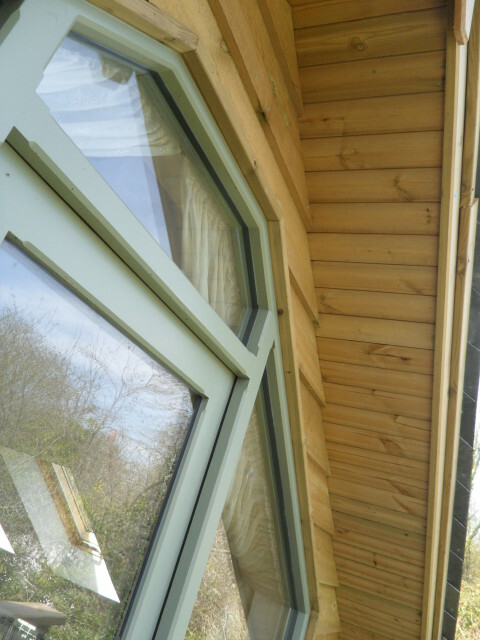 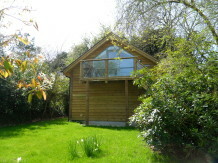 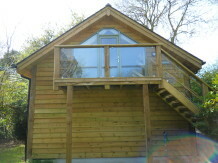 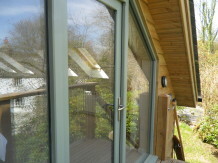 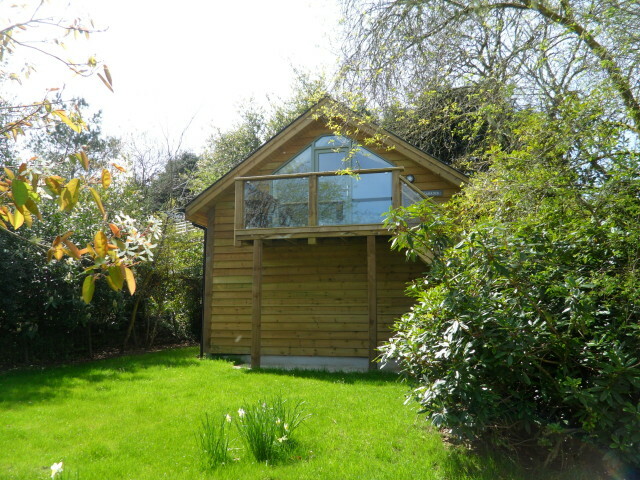 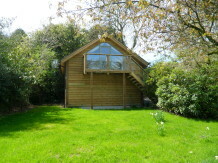 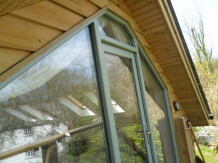 It is a timber frame construction to full buildings regulations for residential use. 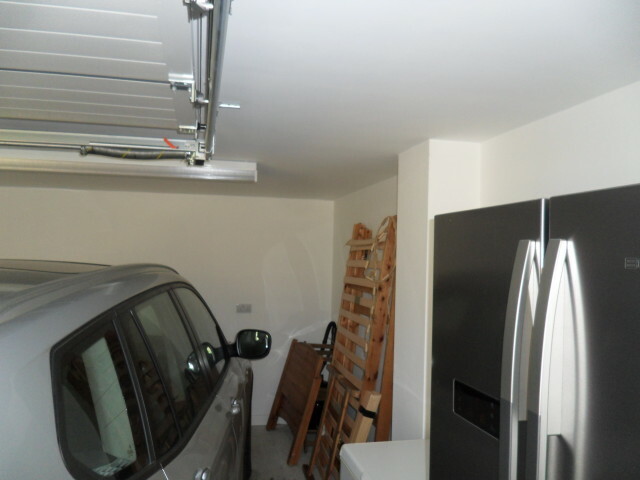 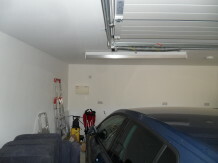 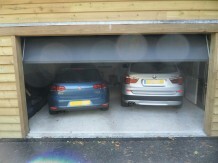 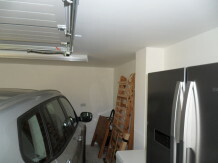 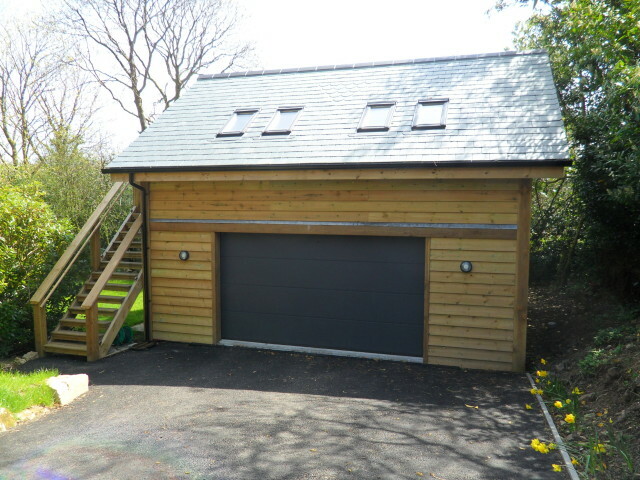 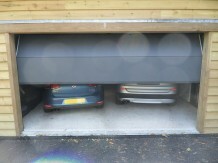 The double garage has an automated garage door, opening into a fully insulated and plasterboared garage area. 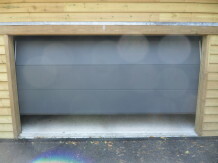 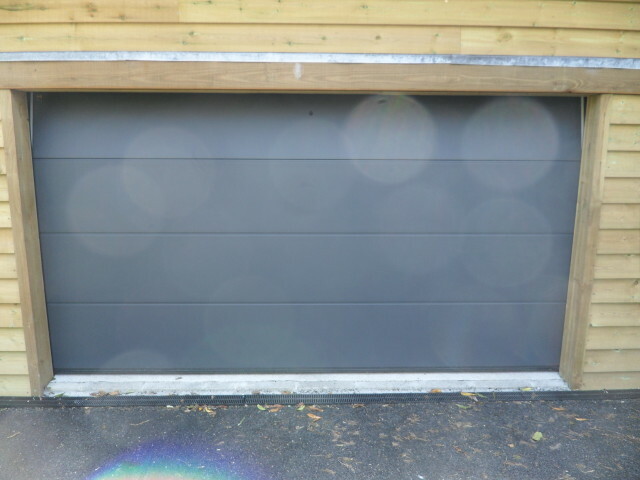 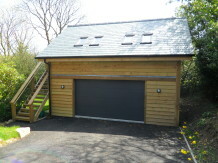 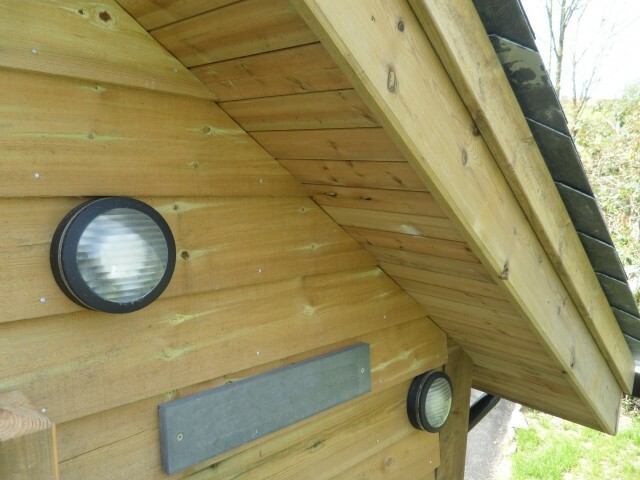 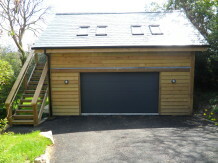 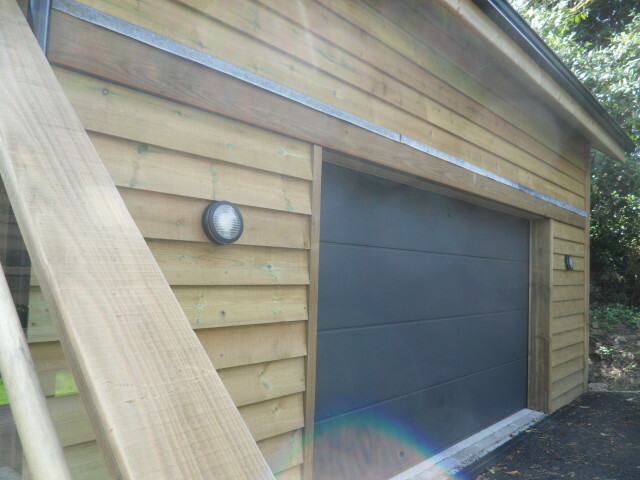 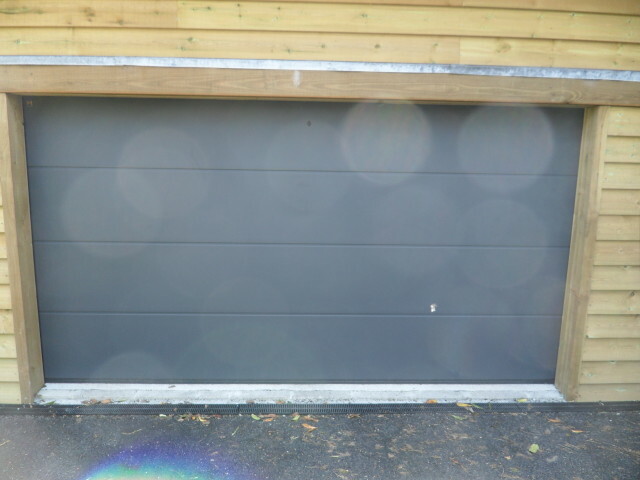 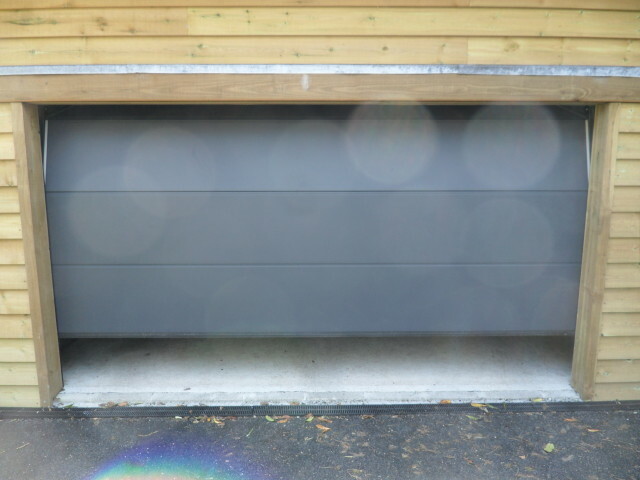 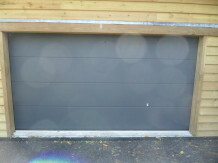 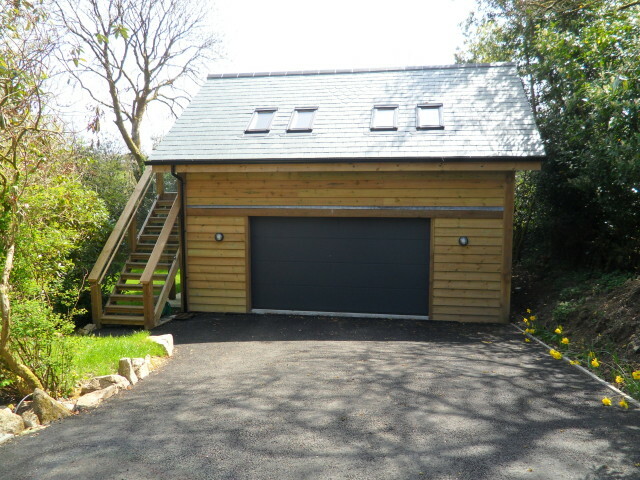 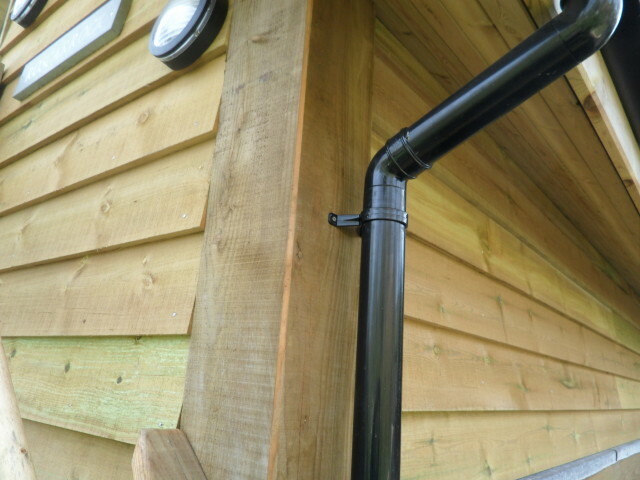 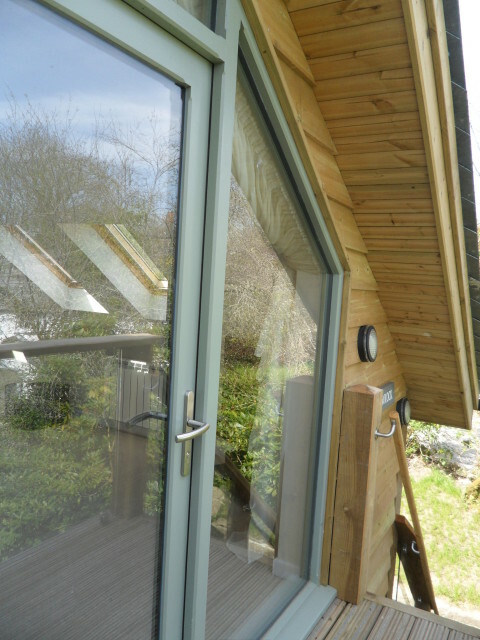 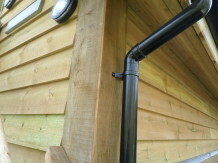 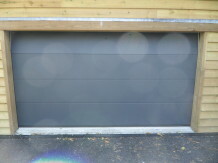 Externally the garage is clad with pressure treated featheredge redwood. 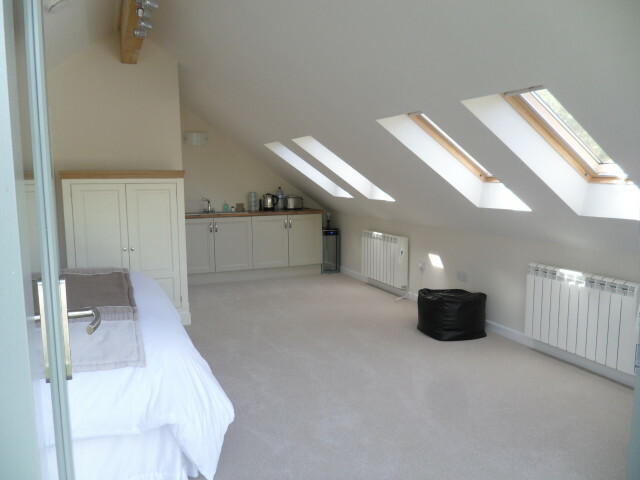 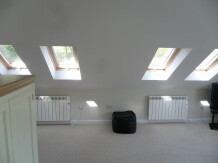 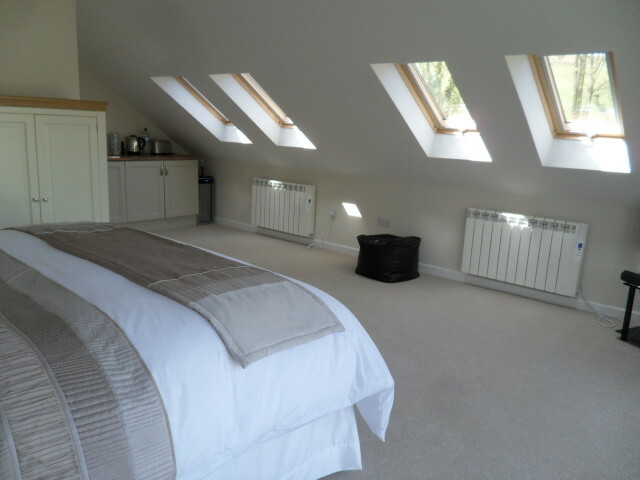 The roof has four velux roof lights and a small kitchen area. 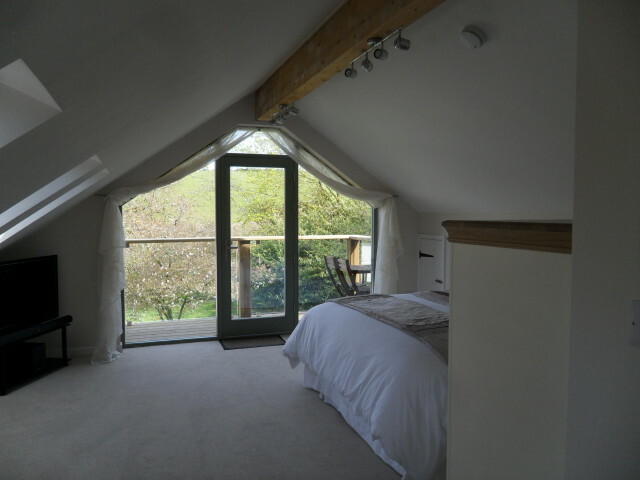 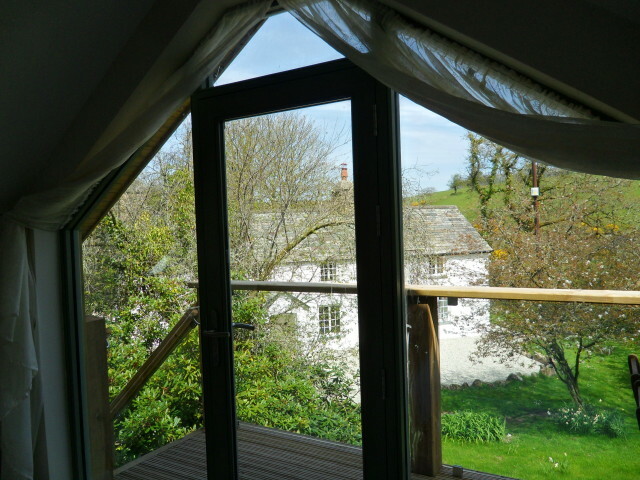 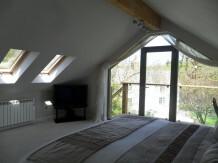 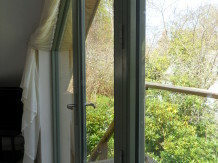 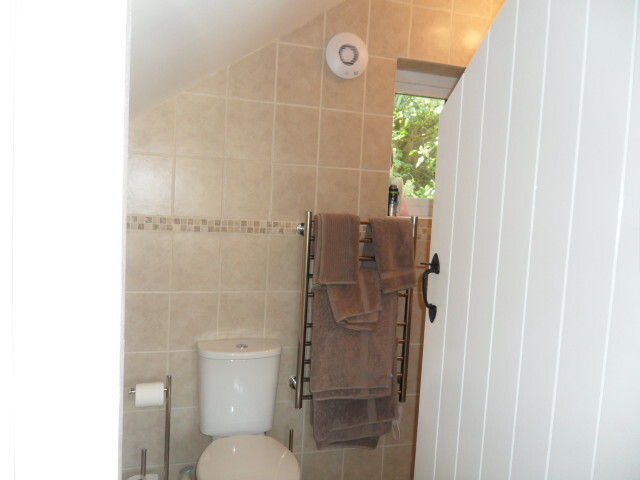 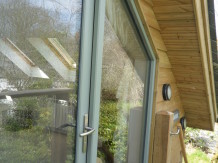 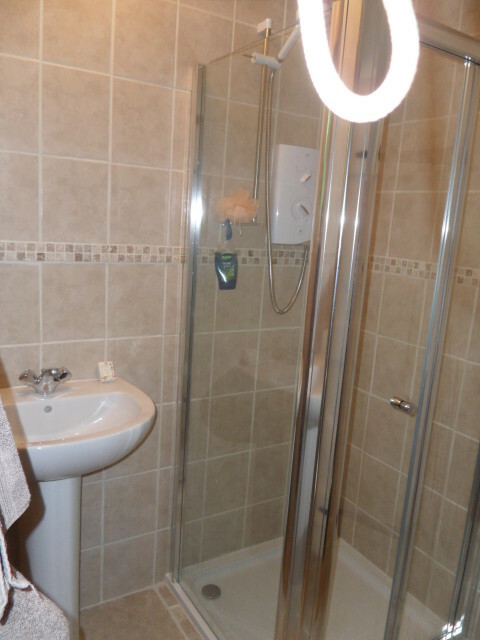 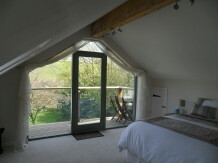 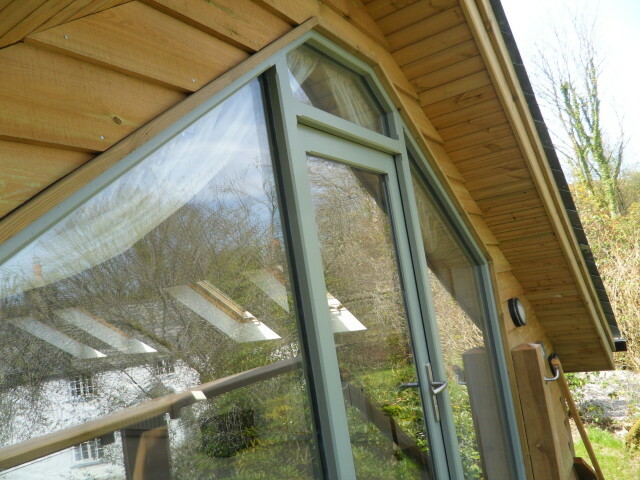 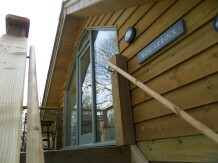 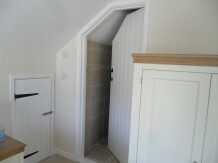 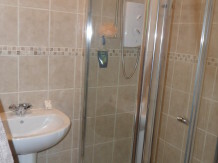 There is also a shower room with basin and W.C.
Windows and doors are handmade in Cornwall and there is a fantstic floor to ceiling feature window on the entrance wall. 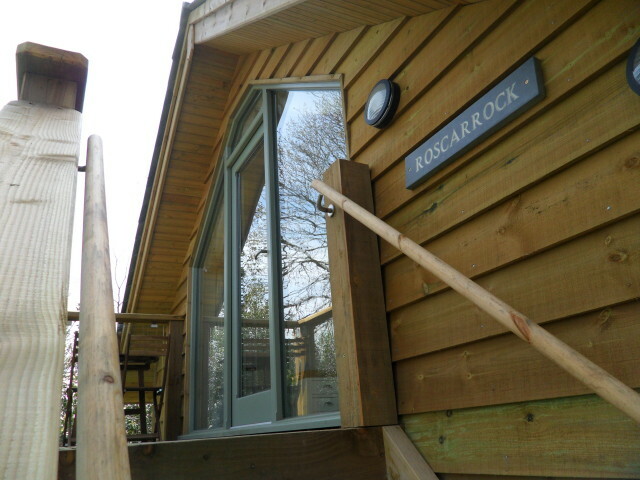 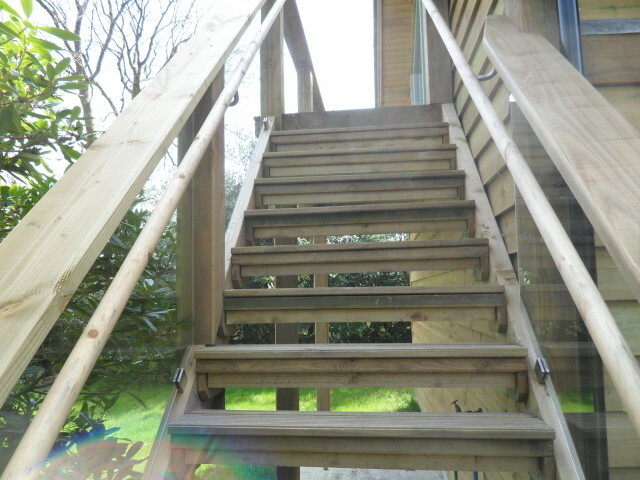 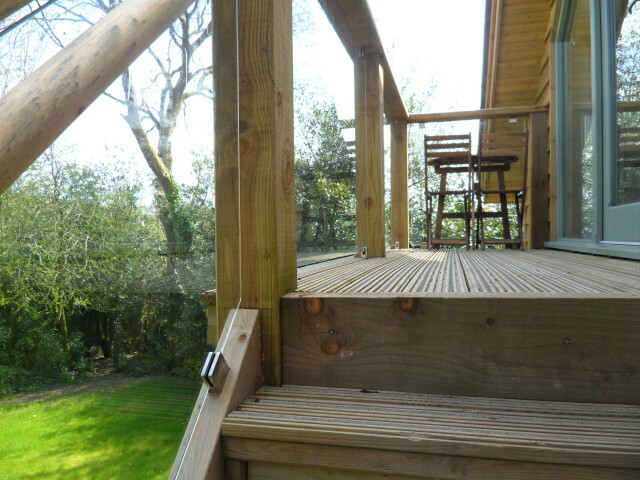 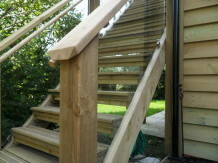 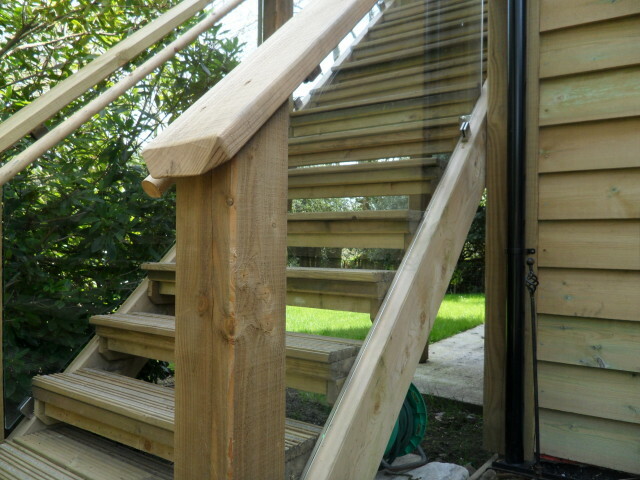 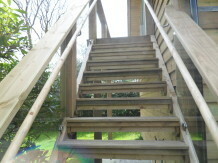 The exterior staircase has glass panels underneath the handrails.